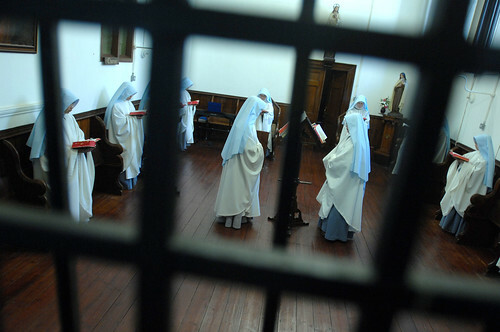 The Franciscan Sisters of the Immaculate have occupied the Carmelite Convent at Lanherne for ten years. They have adopted the traditional way of life, using the Traditional (1962) breviary, hearing the Traditional mass, and using the traditional disciplines of an enclosed community of religious women. The Carmelites have allowed them to live in this convent for this time, but now they wish to sell the site. We need to raise money in the order of £600,000 to complete the purchase and restoration of the property. This blog has been established to give information about the Trust set up to do this, and about the progress of the appeal.